Learn to play Orange Range “Thank You!” with my free video bass lesson. A nice hip-hop, J-Pop track. This is a very cool track used in the Japanese magna series Bleach. 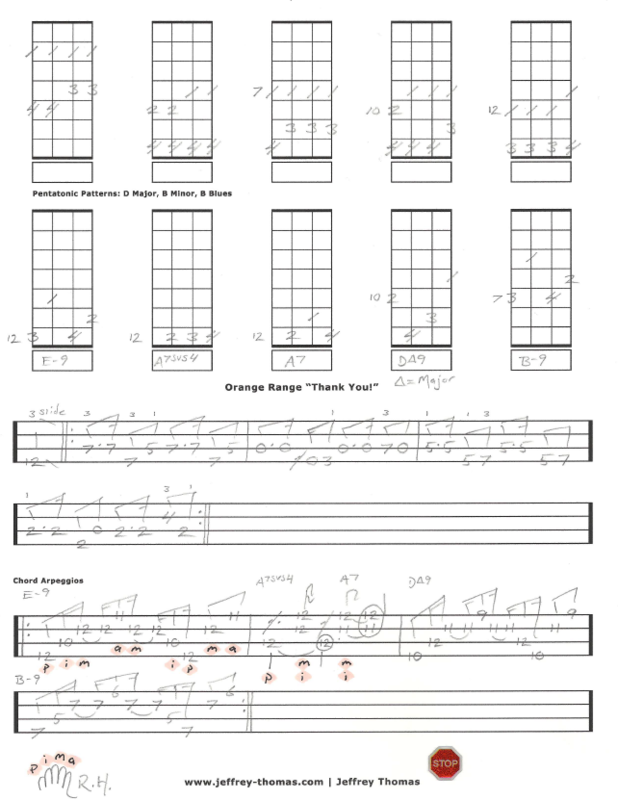 I have prepared a free video lesson with bass tablature. This lessons includes the main bass line, all 5 D Major, B binor, B blues pentatonic patterns & chord arpeggios. Right & left hand details explained slowly. Want the bass tab for free? Just send in your email address using the form provided. Looking for online bass lessons? Fill out the Schedule A Free Lesson form to set up your free Skype bass lesson today! Orange Range is a great Japanese hip-hop, rap band and I hope you enjoyed the free bass lesson! Check into my online bass video archives for more cool bass material.